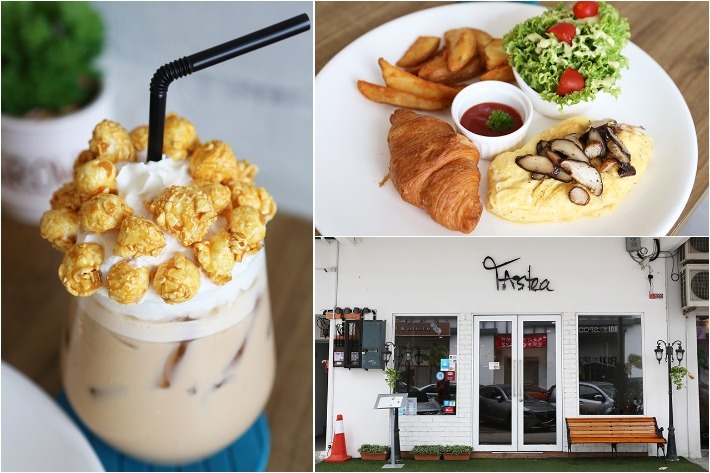 Offering diners a spacious, charming respite from the midday heat, humble cafe, Restoran Tastea is one that deserves a stopover when exploring the cafe-laden enclave of Taman Mount Austin. Their menu focuses heavily on Western dishes, leaning more towards Italian comfort food with their wide spectrum of pasta dishes from the humble linguine to risotto. If you’re on the prowl for a decent cafe-style brunch, we highly recommend coming here. Their food is delicious, portion sizes generous and above all, much more worth paying for than a cafe back in Singapore. No trip to Malaysia is complete without a piping-hot plate of KL-style Hokkien mee stall. Brimming with intense charred flavours and heady wok hei aroma, the famous KL version is special in that it is stir-fried over a charcoal flame and is infused (heavily) with pork fat, a smattering of crispy golden pork lard and a dark soy sauce that gives it its signature dark colour. 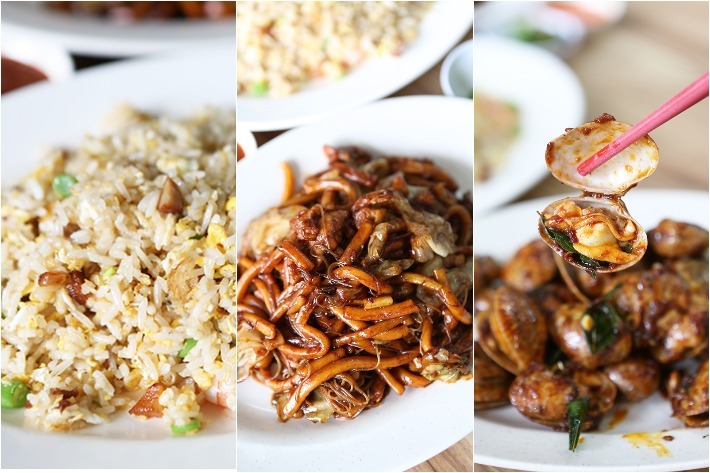 A family-run restaurant, Moi Lum is one of Singapore’s few surviving heritage Chinese restaurants and a gem amongst those who value good quality, home-style Cantonese cooking. Many of us—or at least members of the foodie community—would have eaten or even celebrated a reunion there once before. They are most widely known for their signature Crispy Fried Chicken and Golden Coin Beancurd—both unmatched in its taste, texture and the culinary mastery required to prepare them. Unfortunately, their 99-year run has come to an end. 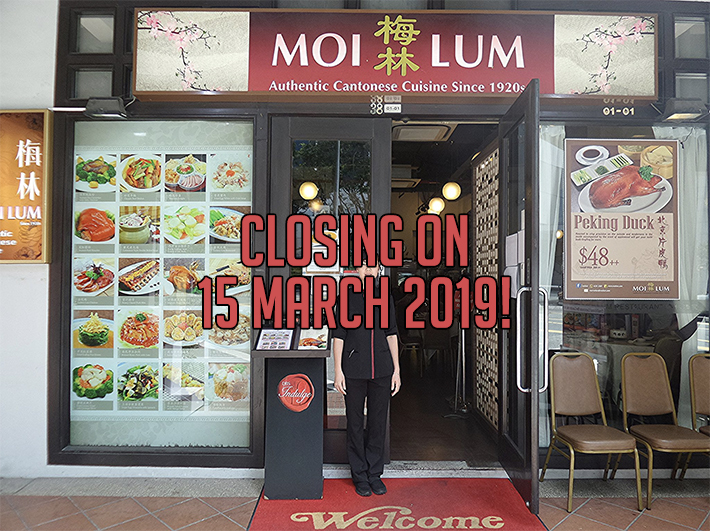 On 15 March 2019, the restaurant will officially be closing its doors, meaning to say that if you haven’t yet tried their food, then you really really should. There’s nothing worse than dressing up, looking sharp and heading to a fancy restaurant only to reduce yourself to ruins when you mispronounce—whether intentionally or unintentionally—the names of dishes. You may be perplexed by some of the seemingly easy words on this list, but truth be told, we’ve heard enough locals massacre the heck out of them. Guilty as charged? 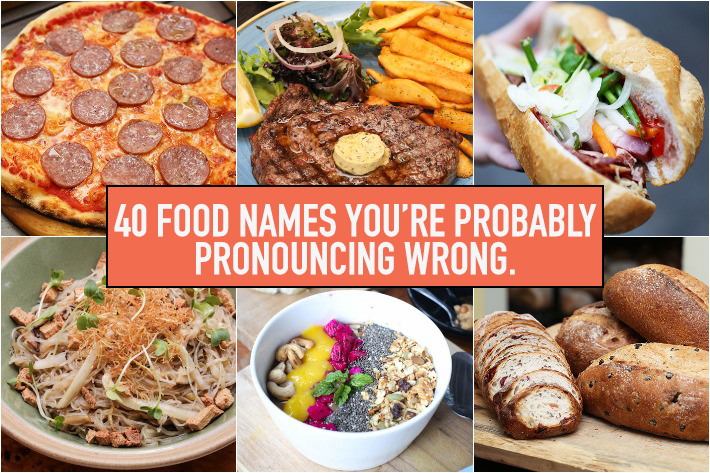 Check out our handy list of 40 food names Singaporeans commonly mispronounce so that you’ll never be judged again. Tokyo is a bustling city that never sleeps and is one that never grows stale no matter how many times you visit. There’s always something new to look forward to, be it a new place to visit or a new restaurant to try. To fully experience the modern, urban city of Tokyo, Japan, you will need at least a full week but that’s provided you’re in it for the whole package which includes eating, drinking, sightseeing, shopping and the likes. But if you’re more of a touch-and-go sort of traveller then 3 full days is all you need. 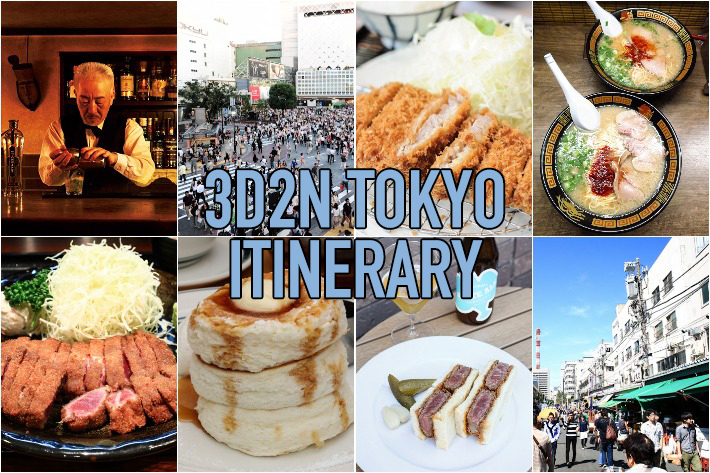 From the crucial must-eats to the places that simply cannot be missed, here is our guide on the places that you absolutely must visit if you’re strapped for time in Tokyo but want to make the most out of your stay. Take your pick or visit them all if you can! 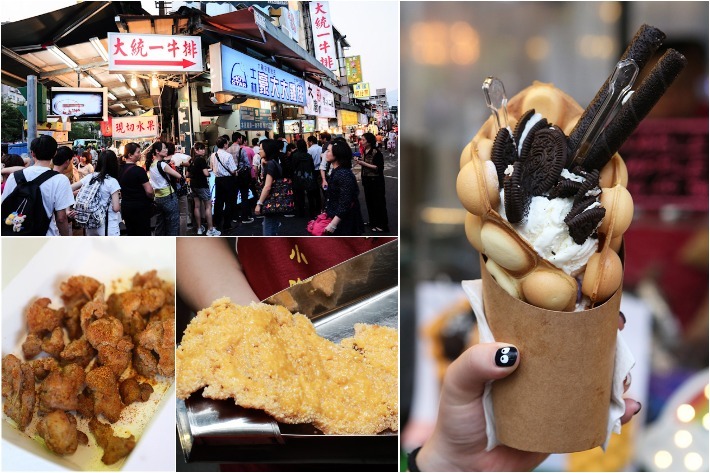 Shilin-Inspired Night Market Is Coming To Singapore! Happening for two consecutive weekends this April (19 to 21 April 2019 & 26 to 28 April 2019), Singapore Turf Club at Kranji will play host to Shilin-inspired Night Market—a Taiwanese-themed street food festival of massive proportions. Boasting rows upon rows of stalls selling authentic Taiwanese street snacks such as mee sua, ji pai (Taiwanese fried chicken cutlet), and many more! Just to be clear, the Shilin Singapore is a Shilin-inspired Night Market concept and not the actual Shilin Night Market from Taiwan. If there’s one thing that can easily amp up a tippling experience, and really take it to a higher level—besides boasting shelves upon shelves of quality liquor—, it’s a well-furnished bar. Decked out in anything from marble island tops to elements of greenery, it’s bars that bother to spruce themselves up to up their Insta-worthy game that really gets our attention. Picturesque from tipple to tabletop, here is our list of 8 beautiful bars in Singapore that’ll get you high on both alcohol and aesthetics. In fact, these places nail the aesthetics game so well that it’s worth visiting even if you don’t plan to drink. The Chinese Lunar New Year is an annual festival where many traditions culminate from exchanging of oranges to the receiving of red packets and more. Still, as far as the Chinese New Year goes, the iconic yu sheng toss remains at the helm of all things festive. Yu Sheng, otherwise known as lo-hei or prosperity toss, is something that we’ve grown terribly fond of. A vibrant centrepiece dish comprising various elements, each boasting its own unique flavour and meaning behind it, the yu sheng is always the first order of business at any family gathering. Yet, as we find ourselves going through the motion of this tradition year in year out, how many of us millennials can actually say that we truly understand this practice and its significance? To a season dedicated to good fortune, family reunion and feasting, here is our guide on lo hei, what it is and what it represents.